Success is the attainment, accomplishment, or achievement of one’s goal. Significance is to have meaning, purpose, or to feel important. If you ask me, significance sounds a lot like success because one of my life goals is to live with meaning, purpose, and feel confident about the calling that has been placed on my life. So this is why I say that neither success or significance can stand without the other. The true meaning of success is wrapped up in knowing that you are living out your calling, which is living with significance. Here are a few strategies to achieve success and significance. The first priority in life should be you getting to know you. knowing yourself. How can you set any realistic goals and implement any sound strategies if you don’t know who you are and what you want? I believe it is hard to help anyone else if you haven’t first helped yourself. So a key component to your strategy should be getting to know who you are. The best leaders understand that they cannot fight every battle. There are some battles that aren’t worth your time and effort because it may not be your battle to fight in the first place. Knowing yourself will give you the ability to know the battles you should fight. Whatever you do, don’t waste your time, energy, and resources on battles that will take you away from fighting the battles you should really be fighting. Great leaders are relentless learners. When some people feel they have failed, great leaders feel they are just one step closer to discovering success. Leaders know that mistakes are inevitable, but they also know that growth from any mistake is certain with the right mindset. A critical piece to a leader’s success is his or her ability to keep things in perspective. Perspective is what separates the best from the rest. As we sharpen our leadership skills, we begin to see the world in a different way. Leaders see the best in every situation. Leaders seek out opportunities rather than focusing on the misfortune. These leaders don’t hide behind excuses, but are highly accountable and action driven. The best leaders are great at finishing. This doesn’t mean that you don’t quit. Matter of fact, there are some things in your life that you will have to quit in order to be effective in other areas of your life. Finishing well is more about how you steward / manage the various responsibilities in your life. This will lead to a more successful and fulfilling life. As you lead, know that your success and significance is determined by your strategy. You are in control of your own success. And if you feel that you are not in control of your own success, then you need to attempt to incorporate these strategies more frequently with your leadership. What does success look like for you and your leadership? 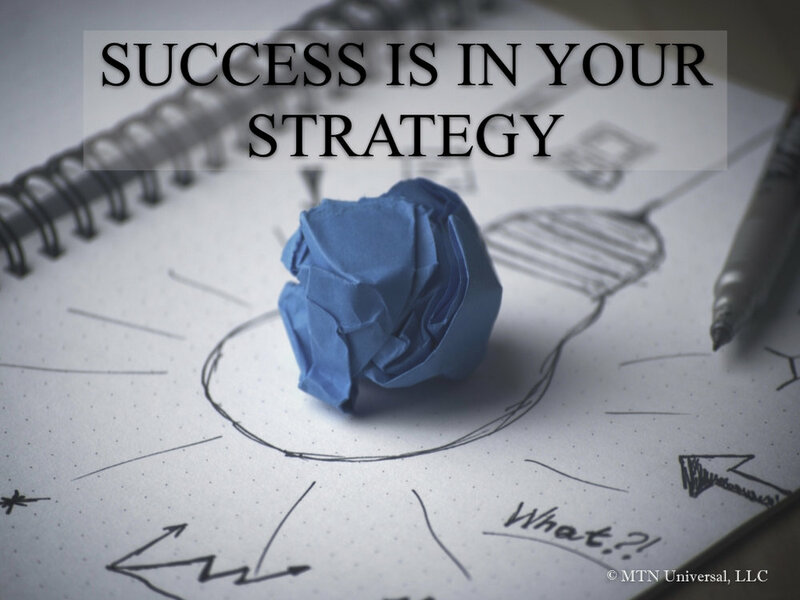 What current strategies are you utilizing to bring about success? Please leave a comment below or email me directly.